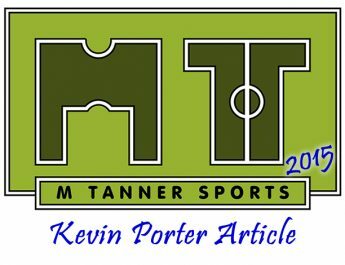 It’s taken a while to write this due to work and social commitments away from football. 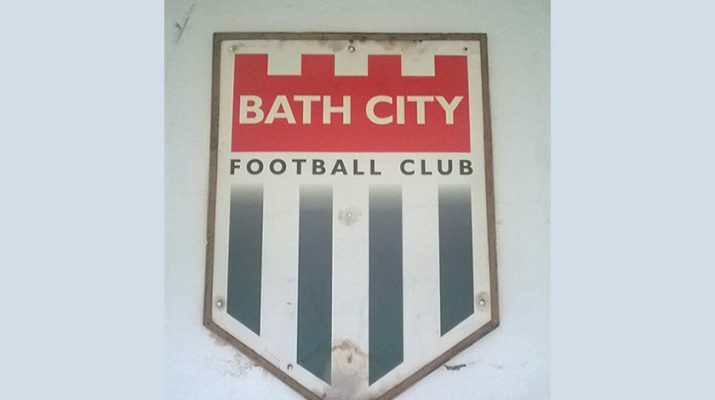 I’d like to give my views on the 3G debate for Bath City FC (Part Two) but first I will go through what happened at the Society’s discussion night (Part One). I didn’t stay for the whole night so some of the debate, at the end of the night, will have been missed. Ironically I had to dash out at quarter to 9 to go and play 6 a side on Odd Down’s 3G pitch – more on that later! Michael Clayton, Society chairman, opened the night and hailed it as a fantastic opportunity to have an open and frank talk about the options for the pitch. He went on to introduce Nick Blofeld (football club chairman) who would be answering the questions from the floor and present the slide show with Michael. It was very disappointing to see a low number of Society members in the room, over half of whom were already volunteers for the club in some capacity. The pitch will be levelled as part of the main stand redevelopment. We want to achieve success on and off the pitch, as an authentic and progressive Club, which is owned by the community and predominantly run by a dedicated team of volunteers. We aim to be successful, professional and efficient and to achieve long-term financial sustainability, whilst being open, inclusive, considerate and diverse. We will bring people together by hosting exciting, entertaining football matches, played with good spirit, and in a great atmosphere. We will organise other events to contribute to the wider community, so that Twerton Park becomes a hub for activities, organisations and services for people of the surrounding area. We intent to be an integral part of city life, not only in Twerton, but the whole of Bath, owned by hundreds of supporters, and followed by many more. We are truly the people’s club. Q – Based on the funding outlined (in the feasibility study) of 600K to redevelop the pitch it will take 10 years to pay this money back? A – Informed that funding will be available through grants and a wealthy individual. More information will be coming if the 3G option is explored (it was questioned again but the room was told once we go down the 3G route in more detail there isn’t much more to say on the topic). Q – How will it be staffed? and is their costing been included in the proposal? A – The club already has one FT member of staff and based on Sutton’s model this will suffice. Volunteers will also help maintain and manage it. Q – About where will the 600K come from? A – Only just being explored now so no more information to give. Q – How much will it cost for grass to be put back on? A – Don’t know. This wasn’t written into the redevelopment of the ground – only the levelling of the pitch. Q – Would local people object? Q – Rental process is based on 35 hours a week maximum (to come to 60K profit a year). If the club takes 7 hours for training and games and then you have the youth teams and foundation taking premium evening slots, who will take up the 9am-5pm slots? Q – Why didn’t you speak to Lewes (which is a negative example of 3G)? Q – Have you thought about the players we currently have (if we moved to 3G)? Q – What is Jerry Gill’s view? & why has he changed his mind (he was anti 3G earlier this season)? Q – Could Jerry Gill ask the local football league clubs whether they would still loan us players with a 3G pitch? Q – What would happen if 3G was a success on and off the field and we were the position to go up in the Football League? Would it rip it up again and put grass down, saying goodbye to all of the local youngsters who have benefited from it? Q – Twerton Park has very good drainage at the moment, would drainage be an issue once levelled? A – 60K of the 600K is for drainage measures. Q – Holland are looking into the health implications of the black crumb on 3G pitches, is this a concern? A – It’s in the back of our minds but nothing is stopping 3G being laid in the UK currently. Q – What impact on the local community would the lights have (being on every night)? A – It’s not been looked into in detail yet but the lights would have to be changed to run along the stand. Crowds are not going up as we would have wanted yet, the club is losing over 90k a season. What can we do to raise the extra money? Nothing has worked up to this point, what would the pro grass supporters do to make up this short fall? It’s not ideal going to 3G but if it means we have a club in the future then we must seriously look at this as an option as the club can’t keep losing money. Looking at the size of this article I’m going to wrap it up here. I’ll give my views in Part Two. There is plenty of healthy debate on the forum too! Apologies if this angers anyone or that I have left anything out. I made brief notes on the night and didn’t put names to statements. If the club, Society, Supporters Club or an individuals want to step forward and help contribute then get in touch. Despite the passionate debates (on both side of the 3G debate) the only thing anybody wants is to see a vibrant and successful football club for the short term and long term.